MRA is a study of the blood vessels using magnetic resonance imaging (MRI). Using a large magnet, radio waves, and a computer, an MRA makes 2-dimensional and 3-dimensional pictures. MRIs can be harmful if you have metal inside your body such as joint replacements or a pacemaker. Make sure your doctor knows of any internal metal before the test. Some people may also have an allergic reaction to the contrast dye. Talk to your doctor about any allergies you have. Also, let your doctor know if you have liver or kidney problems. These may make it difficult for your body to get rid of the contrast. Do not eat or drink for at least 4 hours before the exam. Take the sedative 1-2 hours before the exam, or as directed. Given earplugs or headphones to wear. The MRI machine makes a loud banging noise. Given an injection of a contrast dye into your vein. Allowed to have a family member or friend with you during the test. You will lie on a special table. This table will be moved inside the opening of the MRI machine. Most MRIs consist of 2-6 sets of images. Each one will take between 2-15 minutes. You will need to lie still while the images are being taken. You may need to hold your breath briefly. Technicians will communicate with you through an intercom from another room. You will be asked to wait at the facility while the images are examined. The technician may need more images. If you took a sedative, do not drive or operate machinery until it wears off. If you are breastfeeding and receive contrast dye, you and your doctor should discuss when you should restart breastfeeding. Information available has not found any ill effects to the baby if a breastfeeding mother has had contrast dye. The test is painless. If contrast is used, you may experience a stinging sensation when the IV is inserted. Your doctor will discuss the findings with you and any treatment you may need. Cardiac MRI. National Heart, Lung, and Blood Institute website. Available at: https://www.nhlbi.nih.gov/health-topics/cardiac-mri. Accessed March 2, 2018. Magnetic resonance imaging (MRI). American Heart Association website. Available at: http://www.heart.org/HEARTORG/Conditions/HeartAttack/DiagnosingaHeartAttack/Magnetic-Resonance-Imaging-MRI%5FUCM%5F441632%5FArticle.jsp#.WplqDmrwZxA. Updated September 19, 2016. Accessed March 2, 2018. 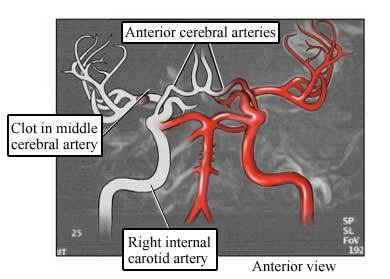 MR angiography (MRA). Radiology Info—Radiological Society of North America website. Available at: https://www.radiologyinfo.org/en/info.cfm?pg=angiomr. Updated April 1, 2017. Accessed March 2, 2018.